You. Me. Ride This Crazy Train - Adventures and Observations on The GO: For the love of all things holy! Did she wash her hands afterwards???!!! Hmmmm. 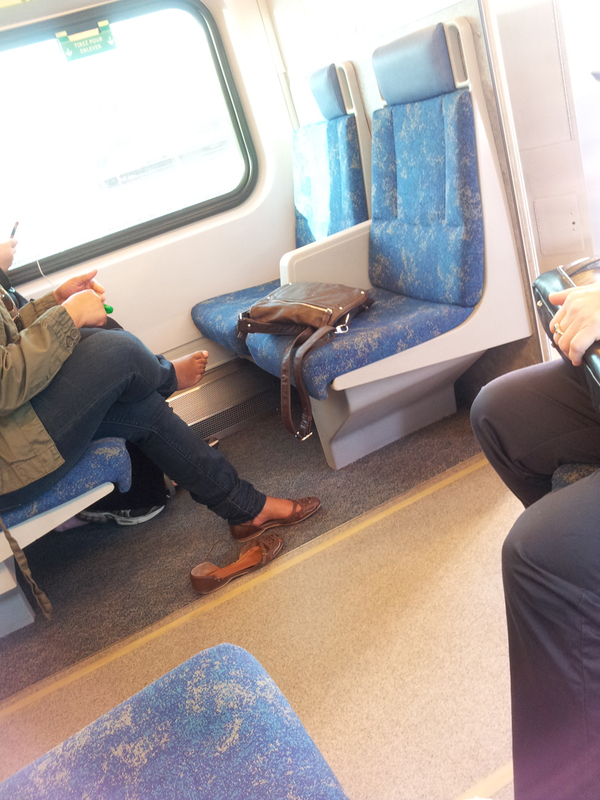 What part of anyones head would think that this was acceptable on public transit? Oh that is so wrong. Did she look like she enjoyed rubbing herself? That is the grossest thing I've seen yet. Who are these people???! That is as wrong as the scene I saw at Scarborough Town Centre Mall today... it's their birthday and I enjoy a good party like the next guy... but the mall management thought having GO-GO DANCERS in front of children, teens and teens was appropriate! Then I see this woman lotioning her feet and I ain't sure what is more disgusting. On the one hand, at least she's not trimming her toenails. On the other, Ewwwwww! I've got one better. Last year, a young woman (notice I didn't say lady) in a short skirt proceeded to put lotion from ankle to crotch up both bare legs! The couple of us close to her were grossed out, but one guy seemed to be enjoying the show. 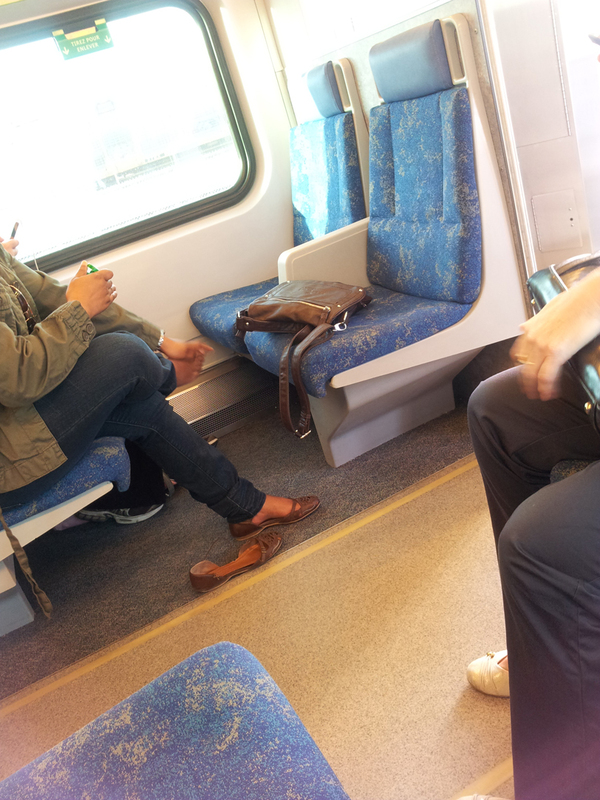 I'm pretty sure she was the same one using an eyelash curler another day...the guys around her looked horrified!